Richard Henry Nolte was born in Duluth on December 27, 1920. His parents were Julius and Mildred Nolte. Richard’s younger brother was Charles Nolte, who became a very successful actor and theater professor. The family lived in houses at 333 West Victoria Street and 331 Kenilworth Avenue in Duluth. Richard attended Washburn Elementary School and probably a year or two at East Junior High School before his family moved to Wayzata around 1934. Richard graduated from Yale University in 1943, served as a naval aviator in World War II, returned to Yale for a Master’s degree in 1947, and later attended Oxford University as a Rhodes scholar. He married Jeanne McQuarrie in 1945 and they eventually had four children, Charles, Roger, Douglas, and Jameson. 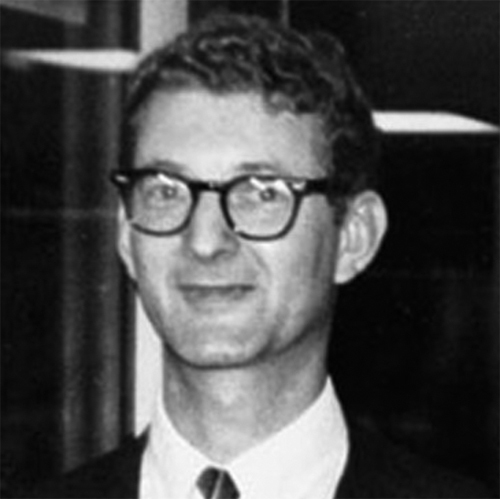 Richard worked for the Institute of Current World Affairs in the 1950s, taught at Dartmouth College, served on the American Universities Field Staff, and was executive director of the Institute of Current World Affairs. In February of 1967, President Lyndon Johnson nominated Richard for appointment as U.S. ambassador to the United Arab Republic. The Senate confirmed the appointment on April 5, 1967, the same day that former Minnesota Governor Karl F. Rolvaag was confirmed as ambassador to Iceland. Richard’s appointment lasted all of three weeks. When the Arab-Israeli War broke out in June, President Nasser refused to receive him and then broke off diplomatic relations with the U.S.
Richard returned to the United States and to his job at the Institute of Current World Affairs. In 1988, he was named chairman of the American Geographical Society. He was the author of numerous articles and several books, including The Arabs and the West (1958), The Modern Middle East (1963), and A Tale of Three Cities: Dhahran, Ryadh, Jedda (1977). He died of complications from a stroke in his home in Hanover, New Hampshire, on November 22, 2007.